We can specify, design, install, and service all major manufacturers' fire alarm systems. 3S Incorporated will work with you to develop the optimal fire alarm system for the protection of your business and people. Serving the industrial and commercial marketplace since 1987, we have the solutions and experience you need for either a small conventional system or a large networked system. Providing a turnkey solution for your building’s life safety systems, we can install fire alarm systems, mass notification systems, or detection and suppression systems as needed. Our fire alarm systems include voice notification and graphical interface workstations to manage the alarm systems. Each system is custom designed to your needs or the architect’s specifications. We can design, install, and inspect most manufacturers’ fire alarm and detection systems. 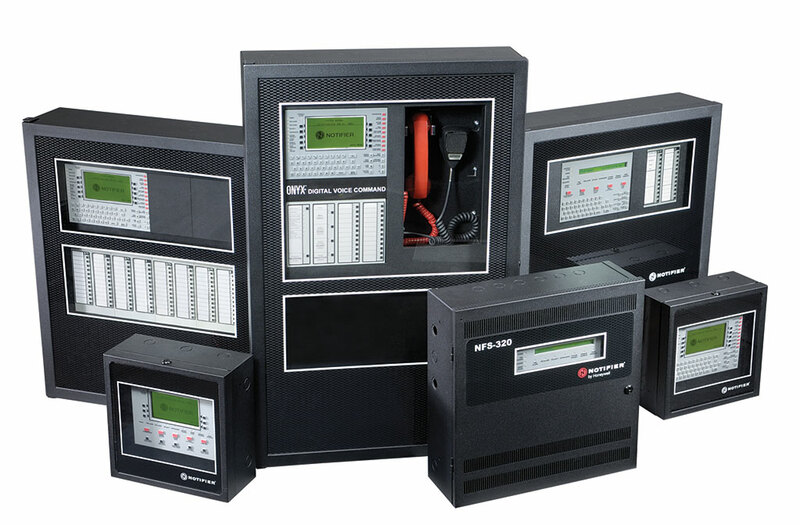 The design and installation of a fire alarm system are based off of your needs and whether we are providing a system for a new facility or updating and enhancing an existing system. We determine the best system and manufacturer to implement based on your facility’s applications, processes, and systems already in place. 3S will custom design and assemble NEMA rated enclosures for hazardous and industrial areas. Ask a 3S team member about it today! We have installed fire alarm, detection, suppression, and mass notification systems for individual buildings or campus wide systems. Our systems are installed across North America and worldwide in the automotive, commercial, power, and steel industries. 3S Incorporated is your full service fire protection company, we also provide inspection, emergency service, or general maintenance services. Our fire protection consulting services have helped many determine scope of project, bidding, project management, and more! Partner with 3S for a fire alarm or fire detection system. With a submittal of a request for quote we can provide you with pricing information, drawings, and system layouts. If the project is complex, we can schedule a site visit to meet with you and learn more about the specifications of your facilities. Request a quote today!